You ever have that dream where your highschool football coach comes out on the field for a prep rally, looks you dead in the eye, and starts singing a dream pop melody from Baltimore-based indie rock duo Beach House—except he's actually Ray Wise, star of Twin Peaks and Robocop? You will tonight. 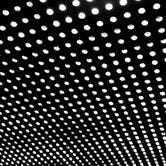 Beach House formed in 2004 and is comprised of Victoria Legrand and Alex Scally. The pair released their self-titled debut album in 2006, followed it up with Devotion in 2008, Teen Dream in 2010, and Bloom—from which "Wishes" is off of—in 2012.